Dropping three full-length albums in three years is basically unheard of in modern popular music; maybe back in the Eighties, but certainly not in 2018. Yet Cyprus based Arrayan Path has not only been consistently recording heavy metal, but Archegonoi, their seventh album, marks their third album in as many years. And they do it in grand fashion by out doing their previous Dawn Of Aquarius. Archegonoi contains 14 songs over 80 minutes. The album is also something of a return to the old paths for Arrayan Path. 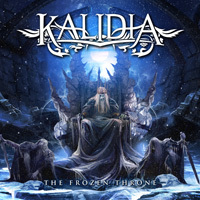 The band revisits their roots in classic, and epic, heavy power metal, but also stories of ancient war and warriors, heroes and tales of valor, and Greek mythology. Archegonoi is Greek for "ancient born." Thankfully, the album arrives with the complete lyrics so you can follow the theme. As for Arrayan Path's music, you'll find the basic musical context to be melodic and heavy power metal, yet embellished by the band's familiar use of strong choral and gang vocal arrangements, mixed to galloping tempos, Mediterranean musical motifs, and abundant guitar solos. Also, you'll notice some rich and cohesive drum work throughout, delivered by Fates Warning drummer Mark Zonder. Drawn together, these elements, along with the lyrical themes, put the "epic" into Arrayan Path's power metal. Fourteen songs are too much to discuss in a short review, but you'll hear these elements and Arrayan Path's creativity compositional diversity within songs such as Weaving The Web Of Destiny, King Of Argos, Bellerophon, and Eastern Sands. The aforementioned Mediterranean musical motif has a strong presence in The Words Of Menelaus and in the middle of Blood Of The Sphinx, where the breakdown with acoustic guitar offers a mystical feeling. Overall, with the depth of musical creativity and epic lyrical themes within Archegonoi, Arrayan Path once more delivers a solid, perhaps even profound, album of epic power metal. Recommended. 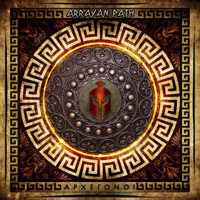 Overall, with the depth of musical creativity and epic lyrical themes within Archegonoi, Arrayan Path once more delivers a solid, perhaps even profound, album of epic power metal. Recommended.